in the late 1750s and has been known in the wild since the 1860s. 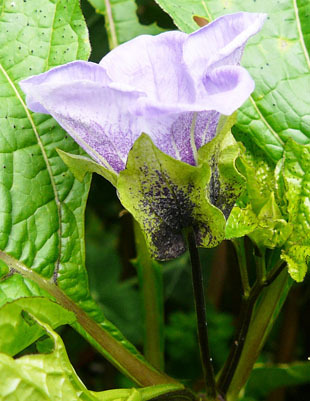 It grows on waste ground, rubbish tips, gardens and allotments. In the South it can overwinter and has become established. In gardens it may be a bird-sown or from commercial, bird seed. 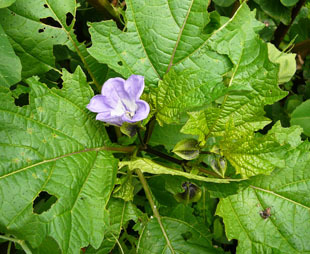 Apple-of-Peru is a striking, large, annual herb, growing up to 1m. 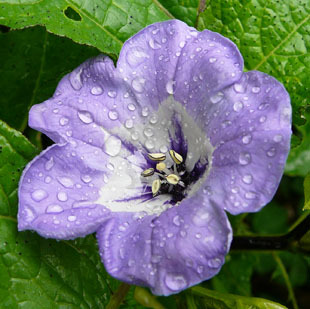 The flowers are deep, violet-blue, trumpet-shaped and up to 4cm. 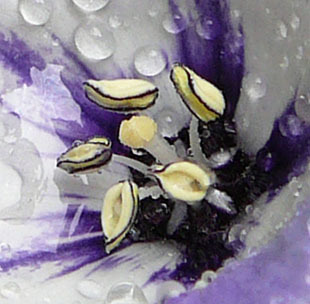 The petals have white bases with splashes of blue. 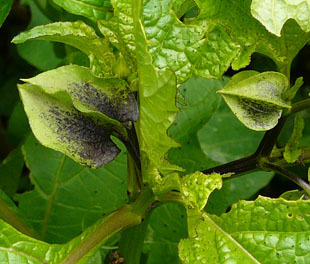 The calyx is bell-shaped, with green and purple sepals. Fruits are brown berries wrapped in a papery case. 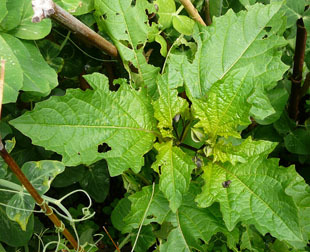 Leaves are bright green and toothed. It is classed as an invasive alien in the USA.